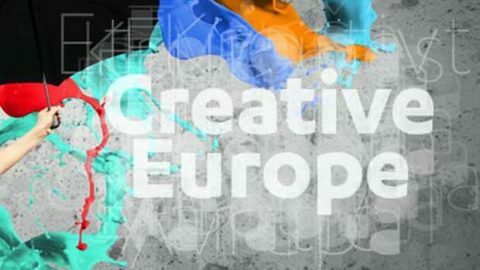 On 22 March 2016 the area for Internationalization of Sapienza University of Rome organizes a Infoday on Europe for Citizens Programme and the Culture Sub-program of Creative Europe. The event is scheduled from 14:00 to 17:00 in the Hall Odeion of Sapienza (former Faculty of Arts, Museum of Classical Art) together with the Europe for Citizens Point Italy – MiBACT and the Creative Europe Desk Italy – Cultural Office -MiBACT. The first part of the event is dedicated to the Europe for Citizens Programme: Rita Sassu, Project Officer ECP Italy, will present the call for active entities in European integration, immigration, intercultural dialogue and the historical memory . The second part of the event is dedicated to the Culture Sub-program of Creative Europe: Rita Sassu, will present the objectives of the Programme and Project Officer of Creative Europe Desk Italy, will dedicate a special focus to the new call on literary translations, open to all homes publishers and publishing groups who want to translate European literary works. Follow Anita D’Andrea, Project Assistant of Creative Europe Desk Italy, that will make a brief overview of the other three call Program: Cooperation Projects, Platforms and Network. The day will conclude with testimonies of Wisdom teachers. The event is free and is open to all operators in the cultural and creative sector, civil society organizations, the nonprofit world, to municipalities, unions of municipalities, other levels of local authorities and regions, universities, the educational institutions, training and research.